It's a personal pleasure to report that the National Magazine Awards Foundation has announced that this year's winner of the Foundation Award for Outstanding Achievement is Stephen Trumper. "As a distinguished editor, a beloved teacher, a renowned master of display copy and a mentor known for giving generously of his time and expertise, Stephen Trumper has been a pillar of the Canadian magazine industry for more than thirty-five years" said a post on the NMAF site "....As a teacher and mentor, Steve has been an inspiration to a generation of Canada’s brightest journalists, many of whom still seek him out for counsel and friendship at his favourite tables at The Senatoror at the Starbucks inside Sears at the Eaton Centre. Shameless magazine was born in one of Stephen’s classes at Ryerson." The award will be presented June 7 at the 36th annual awards gala, for which tickets go on sale May 1. "The market hasn't been receptive to new media launches, especially print, over the last few years. You could have had a great idea two years ago and launched it with a huge marketing budget, but there just wouldn't have been the market for it. But now things seem to be on the up for the industry. The shutters have come off and we're out of the recession, so we can be first to market with something new." -- Tim Slee, chief executive of Britain's Square Up Media, quoted in MediaWeek about the decision to launch a free monthly travel magazine called Escapism. 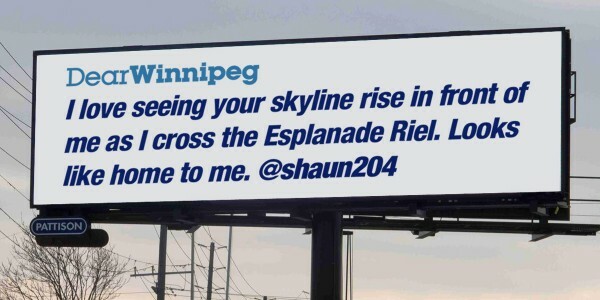 Spacing magazine, working with the billboard company Pattison Onestop, is planning to post Twitter love letters to various Canadian cities as part of a public art project. Tweet a 140 character letter to your city [by June 1] to the @DearCityCanada Twitter account. All acceptable letters will be displayed on mall screens across Canada for two weeks this June, reaching 5 million people a week. The best letters will be displayed on outdoor digital billboards across Canada this summer, and of course letters will be retweeted via the @DearCityCanada account. The billboards will be up for two weeks in Vancouver, Surrey, Pitt Meadows, Calgary, Edmonton, Regina, Winnipeg, Sudbury, Kitchener, Hamilton, Toronto, Peterborough, Kingston, Ottawa, Montreal, Quebec City, Moncton, and Halifax. The Ontario Arts Council is celebrating its 50th anniversary this year (its founding legislation was passed April 26, 1963) and it's worth celebrating its development and sustaining of nationally important literary and cultural magazines. Porting -- simply moving your desktop site over to the mobile web, resulting in clutter and tiny displays. Pinch and zoom -- font sizes need to be readable and not require users to reverse-pinch their screens. Pagination -- breaking stories into pages and expecting readers to look at a slide show or a 15-page article on a smartphone. Hover -- publishers forget there isn't a mouse on a mobile device, so readers can't scroll over images to get more information. Load time -- Publishers aren't economical with images, taking account of the slower connection and load times on a mobile phone. Readers may consider whether it's worth waiting for, and decide it's not. The Dance Current magazine is marking Canada's National Dance Week by launching a brand new website which, along with regular new content, is bringing together a 10-year archive of exclusively digital content and a print collection of over 140 back issues. "We invite professionals, practitioners, dance students and fans to visit thedancecurrent.com throughout the week and learn something new about dance in your country,” says executive director, publisher and founding editor Megan Andrews. By moving to one, integrated platform, The Dance Current makes possible public access to dance in Canada through event listings, videos, columns, features, interviews, news and reviews. The magazine has been published by Dance Media Group/Groupe Danse Média since 1998. The editor has been Kathleen Smith since 2011. "While fully bilingual publication is beyond our resources," the magazine says in a release, "we are committed to inclusive coverage of the country’s diverse regions. Québec dance artists have appeared frequently in the magazine and we provide French summaries of our feature print articles and selected full French translation where possible. Through our projects and programs, The Dance Current contributes to a culture of literacy, critical insight and collective memory about dance in Canada both within and beyond the milieu." The new website was developed by Toronto company Razorbraille Creative, Inc. and funded by the Ontario Trillium Foundation. "Must be nice" to be a freelancer, eh? At least you don't have to get up and go to work everyday." "You're pretty good. If you wanted a job, you could probably get one." "Freelancing isn't a real career." "Publishers today say consumers want more from them than ink on paper, and the desire to deepen their ties with readers, along with the revenue opportunity, is spurring their move toward web commerce. Meanwhile web retailers understand that consumers like having an editorial voice they can trust to help them interpret trends when they shop. " -- from an article in Internet Retailer magazine about the e-commerce strategy of Better Homes and Gardens. The inaugural issue of this magazine showcases five of the worlds most gripping travel destinations including Norway, Chile, California, Space and Canada’s own British Columbia. The issue is dedicated to pushing the limits and takes readers on an adventure to face their fears from climbing a 3,000-foot wall in California all the way to Space travel. The free app through iTunes provides a free sample issue and a single issue thereafter costs $1.99, with a subscription being $14.99. An Android version is not yet available. The Kenneth R. Wilson Awards are moving further downtown and will this year be held on a different night than the National Magazine Awards. The awards gala will be held Tuesday, June 4 at the Grand Banking Hall at One King Street West, Toronto It is in the same week as the MagNet conference but not associated with either MagNet or the NMAs. Gierasimczuk, vice-president, editorial (trade and consumer) at Canada Wide Media, and editor-in-chief of BCBusiness magazine. Last year, the KRWs were held in the late afternoon, back-to-back at the Carlu with the NMAs, sharing a joint reception with the NMAs, which held a sit-down dinner in the evening. There were complaints that the arrangement made the business-to-business publishers second class citizens. A questionnaire was distributed at the event asking about preferences for format, time and place. Apparently the responses had an effect. The KRWs were partners with and were promoted by MagNet conference which is not the case this year. The management group for the NMAs and the KRWs this year decamped from the offices of Magazines Canada (the lead partner in MagNet) for new headquarters on Bloor Street. Canopy, the forest markets campaign organization has announced that it is withdrawing from the Canadian Boreal Forest Agreement (CBFA), mostly because the alliance with forest industry companies and organizations has proved toothless and ineffective when it comes to preserving forestlands and wildlife. Essentially, Canopy is saying that its logging partners have been dragging their feet. "Despite our best efforts, not a single acre of Boreal Forestland across 170 million acres has been legislated into protection or even recommended for protection jointly by the environmental and industry caucuses," the organization said in a release. "Nor has the process succeeded in developing more than one Caribou Action Plan for the 51 herds of this threatened and iconic species. In addition, the deferrals and areas of suspended harvest that were a cornerstone of the agreement expired in 2012 and while offering assurances that deferrals remain in place, the forest industry members have consistently declined to provide maps or identify areas where harvest suspensions remain in place or where harvesting may have resumed." Canopy says it has always focussed on getting concrete results from brokering and negotiating meaningful change, ranging from the greening of the Harry Potter books through creating Second Harvest paper from wheat straw waste and such agreements as Torstar's environmental purchasing policy, recently announced. The organization intends to shift its focus to a reinvigorated, independent markets campaign and a push to protect Quebec's Broadback Valley Forest. Three Cree First Nations have recently declared strong support for protection for this biologically rich, intact forest within their traditional territories. The three major tenure holders in the region are, at present, on record as supporting the suspension of logging operations in the region. 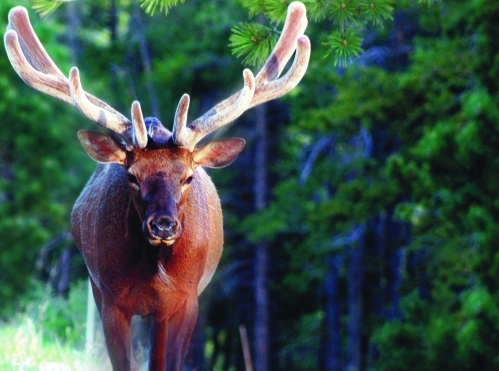 The Quebec government is in the process of implementing a new forest management regime. The coalescence of all these factors has opened the door to a tremendous and potentially short-lived opportunity to secure meaningful, large-scale and lasting protection of more than 60% of this high-priority boreal landscape. We hope to capitalize on this opportunity over the coming months. The CBFA was announced in May 2010; it was an agreement between 9 conservation groups and the 21 member companies of the Forest Products Association (FPAC). The agreement covered about 66% of the commercial forests in a broad swath across Canada. There was an initial agreement to suspend logging on 29 million hectares of boreal forest (an area the size of Italy). In return, the conservation groups have agreed to suspend their "Do Not Buy" campaigns led by Canopy (formerly Markets Initiative), Forest Ethics and Greenpeace. The new site, developed in collaboration with the technical and sustainable building committee of the Quebec Association of Architects (OAQ),will allow architects to showcase sustainable project design for key players in the construction industry, including owners and real estate developers. "Sharing knowledge is vital to the advancement of green architecture inQuebec. That way, the best practices and innovative solutions developed by some architects can be publicized and taken up and applied by others," said Anik Girard, general manager and publisher for Constructo Group. "This site will be invaluable because sustainability in building design is an abstract concept," said André Bourassa, pesident of the OAQ. "This is particularly true in North America, where, too often, the quality and sustainability of the built environment are judged based on certifications. But we must remember that sustainable construction is much more than just a collection of techniques. The many projects identified by Projets verts demonstrate this by example." The new platform is a complement to the magazine Voir vert, published since 2008; the voirvert.ca portal, online since 2010; and the annual issue on buildings, titled Bâtiment, published since 2001. In addition to its publishing operations, in print and online, Constructo is involved in managing the Quebec government's official bid system, the Système électronique d'appel d'offres (SÉAO). Once a year, magazine people have a great opportunity to see some of the best work from the graduates of the Sheridan College Illustration program. This time Illustrationism 2013 is at 7 p.m. on Thursday, April 18 at 7 p.m. at 99 Sudbury Street in Toronto. You'll be able to size up graduates of this, the only 4-year, dedicated Bachelor of Arts Illustration degree program in Canada. They work in traditional ways such as painting and drawing as well as digital technologies such as Web design and motion graphics. Many of these grads may soon, or are already, pitching their skills to art directors. Quebecor Media is buying back almost half of the share of its stock now held by the pension fund Caisse de dépôt et placement du Québec. The caisse's share will shrink from 45.% to 24/6%. “Our intention was to take advantage of the window of opportunity created by the favourable conditions on the debt markets to increase our interest in Quebecor Media,” said Pierre Karl Péladeau, chief executive officer of both Quebecor Inc. and Quebecor Media. Quebecor Inc. owns about 54% of Quebecor Media, which in its most recent quarter had revenues of $254 million, is one of the largest broadcasters in Quebec through TVA Group Inc. and TVA is the largest publisher of French-language magazines in Canada. Its other division, Sun Media, is the largest newspaper publisher in Canada, with 43 dailies and more than 250 community weeklies. Ideon Media, which had previously launched 29Secrets.com, BabyPost.com and Nexopia.com is now launching a national online magazine for men called AmongMen.com. Based in Toronto, the magazine's site features the usual fare for men's magazines in print and online: style and grooming, food and travel, tech and cars, health and fitness, women and relationships and entertainment. “I think that we've created a unique, online magazine for men that takes the type of content that you would normally find in the pages of a traditional glossy publication and brought it to the web,” says AmongMen’s editor-in-chief Christopher Turner. American Business Media (ABM) is merging with the Software and Information Industry Association (SIIA). According to a story in Folio:, the merger was initiated by the SIIA but approved by the ABM board. ABM CEO Clark Pettit said that, over the long term, ABM would not have been financially sustainable. It means that business media members will now be mixed into a 1,000-member association that includes companies far removed from publishing, including the Stock Exchange of Thailand, TD Ameritrade, Kaplan Test Prep, Dell Software, Red Hat, the National Association of Electrical Distributors and Manufacturers Life Insurance. ABM will remain as a unit within SIIA and for now the name is to be retained and the New York office kept open. There is an interesting contrast between the way things turned out in Canada and the way they have turned out in the U.S. Magazines Canada took a "big tent" approach, opening up to represent both consumer and business media. As a result much of the membership of the Canadian Business Press (CBP) decamped to join Magazines Canada. As a result, CBP decided to relinquish its role as a member organization and restrict itself to running the annual Kenneth R. Wilson b2b magazine awards program. The digital newsstand business has half a dozen players plus various publishers trying to flog their own menu of titles. But in this hyper-competitive environment, coming out of the east is a real contender. Magzter, a cloud-based, cross-platform magazine store has 7 million users worldwide (mostly in Asia) and is growing at a million a month, according to a story on Pando Daily. It now claims 2 million users in the U.S., a number that is bound to leap upwards as the company announces it has signed Hearst -- publisher of ELLE, Cosmo, Esquire, Seventeen, Marie Claire and 16 other titles. "Magzter skirts Apple’s Newsstand by sitting as a separate app but still benefits from the App Store’s subscriptions system thanks to a four-month negotiation with Apple that allowed Magzter to put a firewall between the customer and the app, so it can collect consumer data. That Magzter shares that data is one of its advantages over competitors, such as Zinio and Amazon. It’s also one of the reasons Magzter is able to get away with an almost astronomically high 50/50 revenue split." Magzter is based in India and got its start in 2011 by raising $3 million and is now in the process of raising $10 million more. While most of the titles on the site are for now replica editions (and no Canadian titles that we can see), Magzter's co-founder and president Vijayakumar Radhakrishnan predicts that half the magazines on the site will be fully interactive within 18 months. A bulletin that has gone out to more than 680 members of the Professional Writers Association of Canada (PWAC) asks them for confidential information about their experience with Transcontinental Media freelance contracts. PWAC has been trying, so far without success, to convince TC Media to modify what it calls its "egregious" standard freelance contract. "Through our network of allies we have learned that at least some of the editors at some of their publications have recently given assignments to some of their freelance contributors without insisting that they sign the most recent "standard" freelance contract," the bulletin says. "You will recognize the contract if it calls for you to grant the company all your copyright in the assignment in perpetuity in all media and also requiring you to waive your moral rights. "TC Media is not alone in seeking these large and unreasonable concessions from their freelance contributors. We do not seek to demonize them or single them out, but rather to engage them in discussion as to how we might improve the contract in respect of freelancers and to invite them to consider a different business model that values relationships with content providers over a rapacious stance with regard to our ability to further uses of the work we do after their print run and distribution. Thus far they have rejected our collective invitation to engage in discussion of these issues but there is an indication that they are taking another look at the standard freelance contract in the very near future." The financial problems of the Magazine Association of BC have culminated in letting executive director Sylvia Skene go. A note to the membership from president Jenn Farrell said this was effective March 28 and that the work Skene had been doing will, for now, be done by members of the board and other volunteers. The organization is also looking to sublet part of its current office space. "None of you will be surprised to hear that times are financially tight. MagsBC, along with many of our member magazines, has always had to make do with a little less than we’d like. But recent years have been especially challenging: we’ve seen a decrease in federal and provincial funding, along with a distinct shift from operational funding to a project-based model. All indicators suggest that this trend will continue, and so our focus, as always, has been on creating projects and initiatives that will best serve our diverse membership." The message made it clear that Skenes' departure was part of an effort to streamline costs and find a more sustainable model for the future, thanking Skene for her "tireless work as ED and her commitment to our organization." Skene was appointed as executive director in August 2011 and came into an organization that was already funding-challenged. Mags BC intends in the coming year to continue to offer its internship program, its Magazine of Magazines and its new web-based professional development seminars. "We’re also encouraged by our involvement in Creative BC, an independent non-profit society that will engage government and industry to develop a five-year strategic plan for the creative industries and conduct a review of government support programs for the sector," said Farrell. "Three million dollars in government funding has already been earmarked for Creative BC, and MagsBC will be working with its creative partners—MusicBC, the Association of Book Publishers of BC (ABPBC), and the Canadian Media Production Association, BC Producers Branch—to drive that funding to the requested $15 million over the next five years. "A fully funded provincial creative industries strategy—no matter what government is in place—will go a long way to ensuring a vibrant and long-lasting creative community, of which Mags BC will be an integral part." Publishing maven Tyler Brûlé will be speaking in Toronto April 24 at an event hosted by The Canadian Journalism Foundation and Ryerson University's School of Journalism. This journalist-turned-entrepreneur is the chairman of brand and design agency Winkreative and editor-in-chief of Monocle, an ever-expanding global media venture encompassing a magazine, video and audio programming via the web, a biannual newspaper, cafés, and shops both online and on the ground. He'll be talking about Monocle's business model, the state of journalism, and the importance of design. The talk is at Eaton Lecture Theatre (RCC 204), Rogers Communications Centre, 80 Gould St., Ryerson University, Toronto; registration at 6 p.m., talk at 6:30, with a reception to follow. Early-bird tickets (Limited quantity available): $20; General admission: $25 To purchase a ticket, visit http://cjfbrule.eventbrite.ca/#. Walmart Canada's magazine Walmart Live Better, which with its 1 million circulation automatically becomes Canada's largest circulation magazine, has been launched. Announced in December, it is a partnership with Rogers Media Inc. and six times a year will focus on beauty, fashion, food and home trends. In addition to the print edition, it offers a free downloadable tablet edition, a website, e-newsletter, single advertiser e-blasts and social media via Facebook, Twitter and Pinterest. "Canadians want to be inspired by new ideas and stay on budget. With Walmart Live Better they don't have to make a choice. Our team of experts provide great ideas on how to make dollars go farther with style," said Sandra Martin, editor-in-chief of the magazine, in a statement. Walmart told the Toronto Star that any relationship between the glossy, 100-page magazine and the concurrent launch of a chain of Target stores (and their more downmarket flyers) across the country is purely coincidental. The magazine's media kit offers advertisers 1 million circulation and access to 20 million monthly shoppers in the Walmart Supercentres. It says more than 8 million customers visit Walmart each week. A full page is $27,000 in the print edition, and a standard digital ad unit is $40/M. "a contextually relevant environment that supports and reinforces brand messaging. Labelled as Live Better Promotion (not "Advertisement"), these innovative and guaranteed placement options can be custom-tailored for any advertiser, and will be closely aligned in style and content to the rest of the magazine. All promotions are available as single or multiple pages." our digital business to help (them) take that action in a more-efficient way. I'm not sure which is more alarming; that so many people seem unable to get through normal daily activities without accessing social media; that 50% of Facebook users do so while drunk; or that 19% do so while driving. According to a posting on emarketer, women were slightly more likely than men to turn to social media while watching TV, traveling and exercising, and significantly more likely to do so while shopping. Men, meanwhile, were less hesitant to check in with their networks while at work. They also admitted to a much greater propensity to use social media while drunk or on the toilet than women. Toronto Life, having successfully launched the special interest publication Stylebook with two successive fall editions has now launched a spring version. The 106-page issue sells for $7.95 on newsstands and from the St. Joseph Media estore. The cover of the shopping beauty and trends guidebook features Canadian actress Sarah Gadon photographed at Allan Gardens Conservatory by Norman Wong and styled by Corey Ng with make-up by Veronica Chu and hair by Cody Alain. Blue Ant Media, the owners of Cottage Life and Cottage magazines, has confirmed that it is launching a specialty television channel called...Cottage Life. The launch will be celebrated this weekend at the spring Cottage Life Show at the International Centre in Toronto and the specialty channel will be available across Canada this fall, joining Blue Ant's other specialty channels Travel+Escape, Bite and AUX as well as its four premium commercial-free channels Oasis HD, HIFI, eqHD and radX. “Cottage Life is a beloved lifestyle brand. The channel will bring the best of what the magazine delivers in every issue to life on TV,” said Vanessa Case, EVP, Programming & Marketing, Blue Ant Media. “This exciting new channel will resonate with viewers coast-to-coast. Cottage Life doesn’t just celebrate a specific place, but a frame of mind." 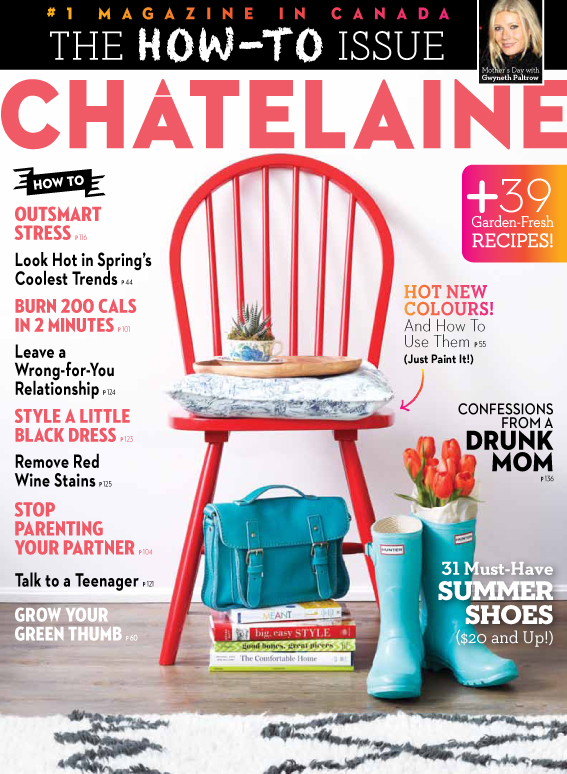 Chatelaine magazine has unveiled a new bilingual logo for its May issue, an all-uppercase version that incorporates a stylized circumflex in the A and which allows the new logo to roll out unchanged in the French version in its June issue. The typeface is Neutraface 2. According to a story in Marketing (a sibling publication at Rogers Publishing), publisher Tara Tucker says the timing was right for the new look to coincide with June's 85th anniversary issue. “The magazine has really evolved over the last couple of years in terms of look and feel,” added Jane Francisco, editor-in-chief . “We felt the [previous] logo wasn’t keeping up with the design and the voice of the brand.” In addition, “because print is only a small part of what the brand stands for now, the logo has to have strength in all the different media platforms. The May issue has four different covers which coincide with an advertising partnership with Rona. Each cover version has a different coloured chair and accessories and on the inside front cover, the camera pulls back to show a woman painting the wall in the same colour palette, with a Rona paint can on the floor. A co-branded promo page runs inside the magazine, highlighting the four different colour palettes. The issue also features an editorial piece on how to create a great entryway using different colours and accessories. Rona “wanted to feel integrated, but we wanted to make sure the editorial was pure, alongside their objectives,” said Francisco. The finalists have been announced for the Atlantic Journalism Awards; the winners will be presented Saturday May 11 at the Halifax Marriott Harbourfront Hotel. John DeMont - Herald Magazine - Halifax NS - Does Nova Scotia Get the Government it Deserves? Marjorie Simmins - Progress Magazine - To the Manor Born. Martin Silverstone - Atlantic Salmon Journal - Chamcook NB - Atlantic Salmon to the End. Atlantic Salmon Journal - Chamcook, NB - Releasing a York Salmon in Murdoch Pool - December 2012. East Coast Living - Halifax, NS - Summer Escape - Summer 2012. Saltscapes Magazine - Bedford, NS - Million Dollar Legs - January/February 2012. John DeMont - Herald Magazine - Halifax, NS - Graham Day. Martin Silverstone - Atlantic Salmon Journal - Chamcook, NB - River Princess. Paul McLeod - Herald Magazine - Halifax, NS - Kathy Dunderdale's Revolution. David Lindsay - Rural Delivery - Liverpool, NS - Mining for the Common Good? Randy O'Donnell - Telegraph-Journal - Saint John, NB - Chasing Infinite Dreams in Finite Time. Sam Littlefair-Wallace - The Coast - Halifax, NS - Cousin and Wife. Alec Bruce - Atlantic Business Magazine - St. John's, NL - Banish Forever the Linguistic Elephant. Ian Thompson - The Chronicle Herald - Halifax, NS - Are Nova Scotians Ready to Rise to Challenges? Russell Wangersky - The Telegram - St. John's, NL - Trotting out the Bogeyman. Cute kids, but should a magazine's cover be the prize in a sponsored contest? No advertisement may be promoted on the cover of the magazine or included in the editorial table of contents, unless it involves an editorially directed contest, promotion or sponsored one-off editorial extra. An advertiser's name or logo may not be used to suggest advertising sponsorship of any regularly appearing editorial. Nor shall any regularly appearing editorial be labelled as “sponsored” (or “brought to you by” or any other variation thereof) by an advertiser. Sponsorship language may only be used with one-off editorial extras, such as special features, sections, contests, stand-alone brand extensions, inserts and onserts, provided the editorial content of the editorial extra does not mention or endorse the advertiser (and the advertiser does not have input in the creation of the editorial). The publishers of Today's Parent magazine (Rogers Publishing Limited) are skating awfully close to offending the spirit of those provisions with its competition to pick one child to appear as a cover model in its September issue, a competition sponsored by and paid for ("Presented by") Loblaws-owned fashion line Joe Fresh. The contest, which accepted entries through March 30 and now allows readers to vote for their favourite child during April, results in picking four finalists. They and a parent are flown to Toronto for a photo shoot, are put up at a hotel and receive Joe Fresh gift cards; $250 for the three runners-up; $500 for the winning cover model. Joe Fresh or Loblaws has no role in picking the winner, thereby dictating the magazine's cover, which is the only reason this is not an absolutely clear-cut case. We're reasonably sure that Today's Parent characterize this as an "editorially directed contest". But one has to wonder whether the spirit of the guidelines, intended, among other things, to preserve the editorial integrity of covers, is broken when the cover itself becomes the prize in a contest. Helping migrant farm workers deal with the culture shock of working in Canada is the focus of a magazine published by a former employee of the Mexican consulate in Toronto. According to a story carried by CBC News Windsor, Atoctli, is a magazine in both Spanish and English and also available online. The publisher is Margarita Caropresi. "The idea is to serve the worker. But when we help them, we help the farmer," Caropresi said. There are approximately 4,000 migrant workers in Windsor-Essex and the contents of the magazine aims to educate them about health and safety, their rights and paperwork, and about how farmer employers can get along with them. Newspapers, daily and community, often carry or create supplements or other things presented in magazine form. Often they are purely advertorial, such as tourism promotions, or focus on fashion and bridal; very occasionally they are magazines that could stand on their own. Newspapers Canada runs a competition called Great Ideas, which selects " the most creative and innovative examples of newspaper marketing and promotion from daily and community publications across the country." It's interesting to see what were considered this year's winners in the Magazine category. “Brides are throwing away the rule book and doing things their way. Around half of respondents are opting for a less traditional wedding in favour of creating a unique party and experience for their guests,” said Alison McGill, Weddingbells’ editor-in-chief. Social media is playing a much larger role in wedding planning; 72 per cent of respondents said it plays an important role in their planning, up from 42 per cent in 2012, with Pinterist showing the highest growth year over year. The majority of brides used professional help to coordinate the event; close to half of engaged respondents were currently considering a wedding planner. Weddingbells, is published twice annually by St. Joseph Media. "In a media world that's often looking for the next great panacea, it comes as no real surprise when we see the rock solid new PMB results. The metrics of average readership, readers-per-copy and engagement time with the medium are all looking very healthy." [This post has been updated] Taking a chance on a cover has paid off for East Coast Living magazine, whose Winter issue had a single copy sell-through of 64 61 per cent. The cover features a contemporary California-style beach house in Long Harbour, Newfoundland. Shot by Kenneth Harvey, a Newfoundland filmmaker, journalist and bestselling author (it was his first time working with East Coast Living), the cover is a brooding, stormy shot with roiling dark clouds in the background. “I generally go for a stark, dramatic look,” Harvey says. “It is compelling and creates a need in the reader/viewer to explore, to want to know more. This is a trick I learned from writing novels; drama is a major force." East Coast Living is published by Metro Guide Publishing of Halifax. The magazine underwent a major redesign in 2010. There is just one week until the April 9 deadline for nominations to the Magazines Canada Volunteer of the Year Award. Established in 2006, the award honours one person a year who has made an outstanding volunteer contribution to the Canadian magazine industry. The choice is made by a committee of longstanding industry professionals. The award is celebrated in a special ceremony at MagNet: Canada's Magazine Conference which will be held in June. Nomination form and further information.